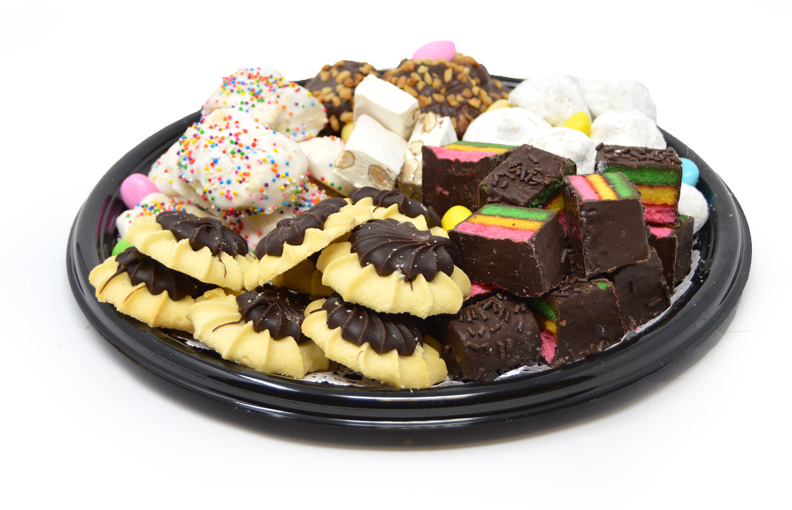 This Premium Deli tray is for those with a discerning taste for quality. 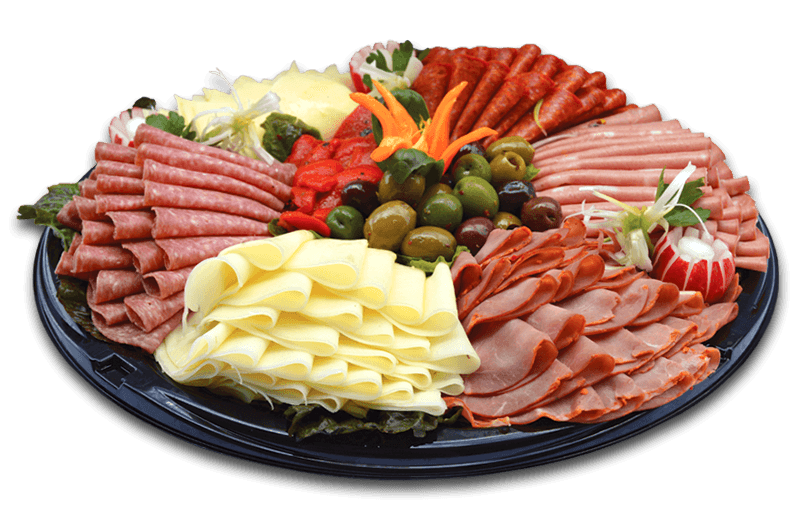 Only the finest hand selected meats and cheeses are thinly sliced and stacked high then beautifully garnished with radish and onion flowers. 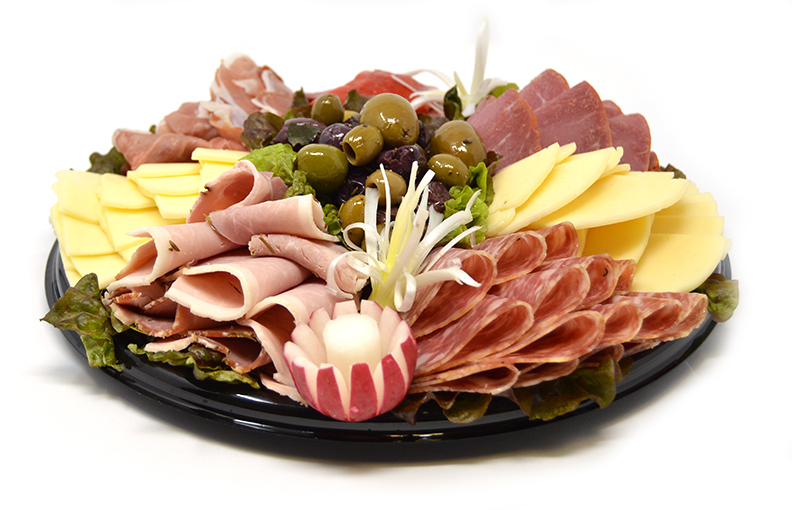 This Classic Italian Deli tray is sure to please your guests, piled high with thinly sliced delicious Italian meats, cheeses , olives and peppers something for everyone. 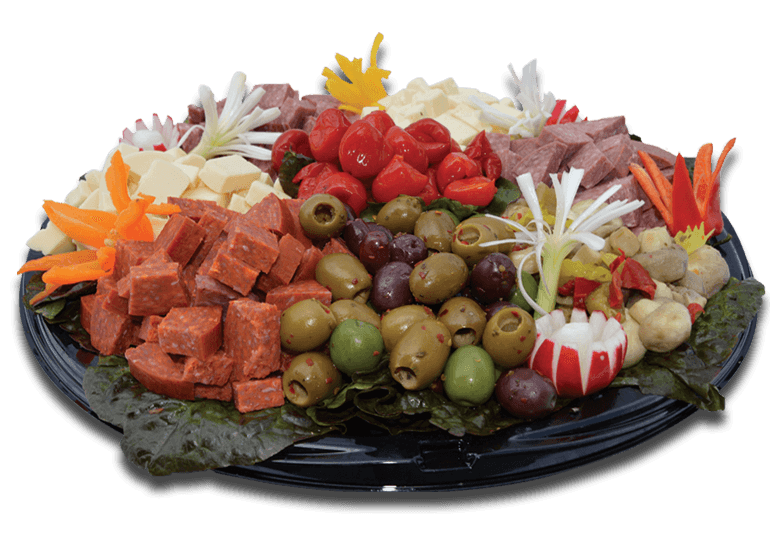 Tell them it came from DioGuardi’s……. 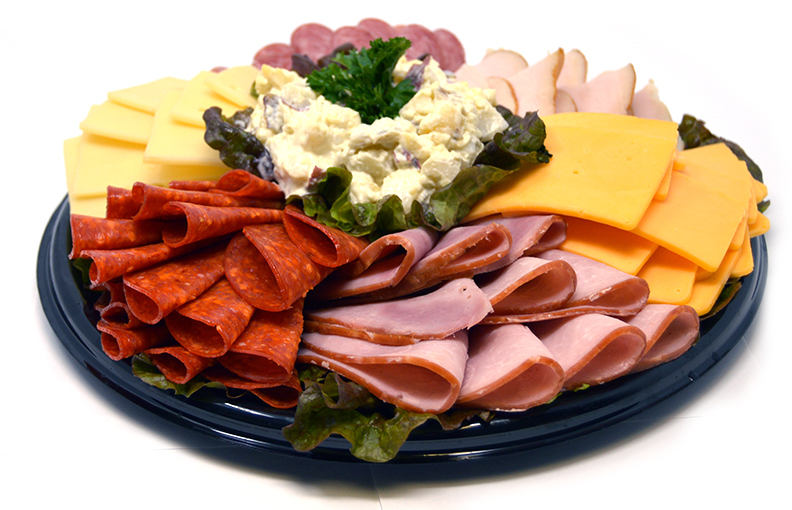 Delicious Deli meats and cheeses piled high with redskin potato salad included. 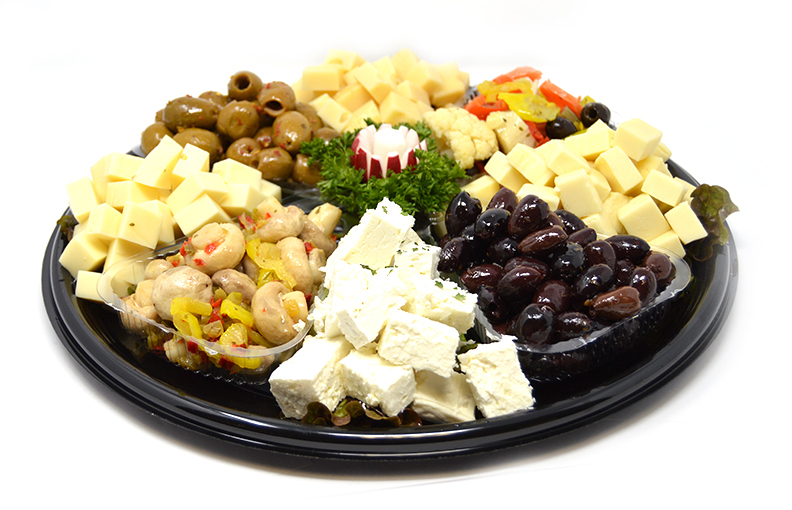 Delicious assortment of Cheeses and marinated vegetables and olives perfect for any occasion. 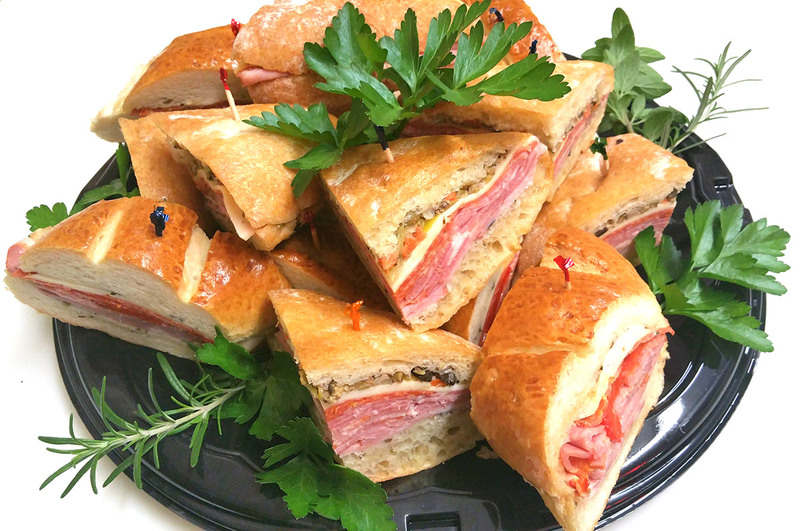 Genoa Salami, Capicola, Mortadella, Pepperoni, Provolone and Roasted Red Peppers on a delicious Italian sub bun. Olive Tapenade, Ham, Capicola, Genoa Salami, Pepperoni and Swiss on a Ciabatta Roll.